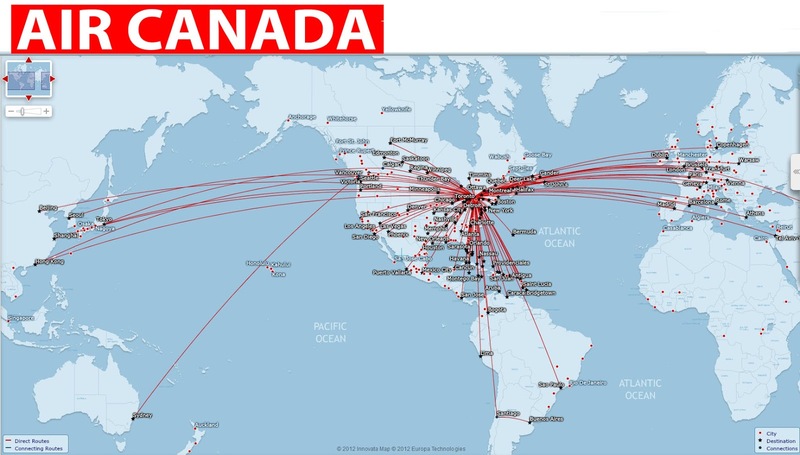 I'd like to create a (web)map, that is showing the range of an Airplane around some airports. I tried to calculate a buffer with the range of the airplane. Here you can see the result here. But now I have realized that the result is wrong because planes do not take the straight route but fly a curve because its shorter. Is there a way to calculate the range with the shorter curve? You could use the proj4 library to describe a circle using the great-circle distance. On Mercator (like your web app), you see more distortion as you move away from the equator, but the buffers are more elliptical. # makes a great circle for one spoke. # example : Cape Town. 3000km buffer. You can paste the WKT output into QGIS using the useful QuickWKT plugin. From memory, the mmqgis plugin allows buffering in km. I'm not sure which method it uses, though. Note that you might have problems rendering polygons in QGIS that cross the antimeridian if you're starting in Asia - ogr2ogr with the -wrapdateline option can help here. 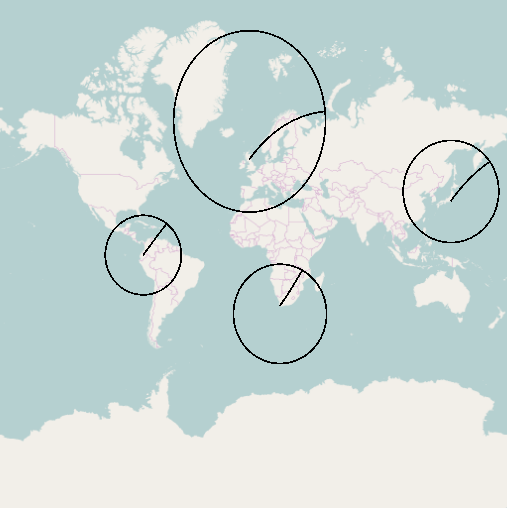 You might find this is less of a problem with openlayers/leaflet, IIRC they allow longitudes greater than 180 and less than -180. There's a good writeup about geodesic buffering here on the esri blog. Be sure to set the layer's coordinate system is in an equidistant projection, not just the data frame. Once calculated, the buffer will warp accordingly when put into Web Mercator or whatever other web projection you intend on using. 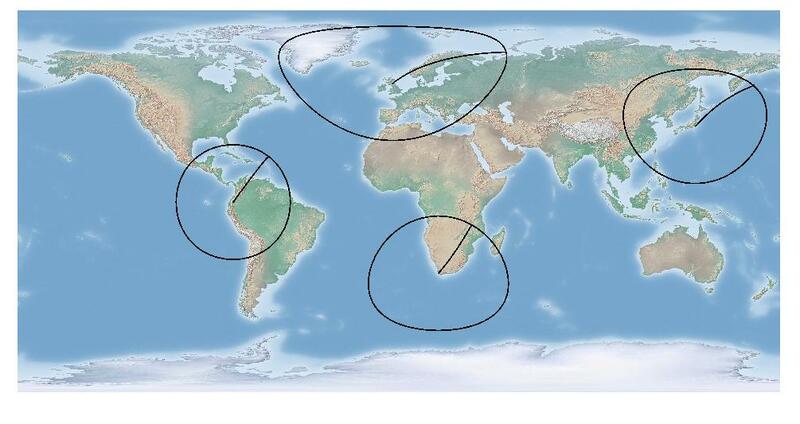 This is a fundamental problem with Mercator maps, as they are intended for nautical navigation, where the properties of straight lines on these projections is valuable (a straight line on a Mercator projection is a rhumb line; a line with the same compass heading through the entire journey). 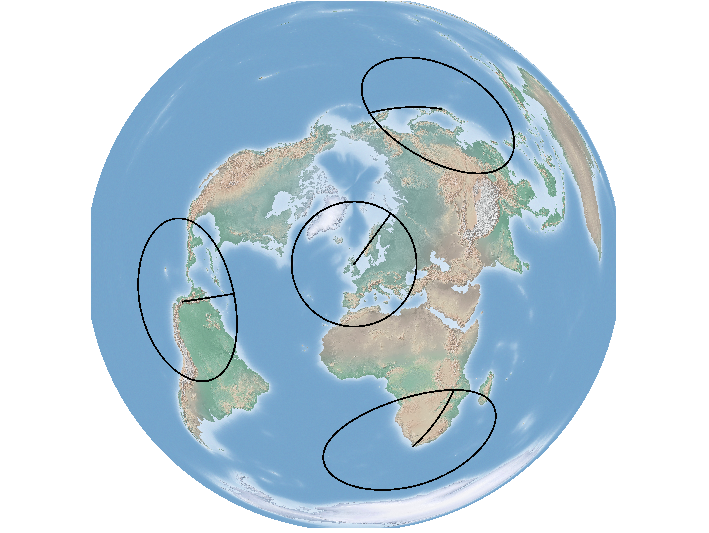 However, planes do not fly on rhumb lines, because fuel efficiency is more important than simple navigation, and thus fly along Great Circles, which appear as curves on a Mercator projection. Not the answer you're looking for? Browse other questions tagged qgis buffer or ask your own question. QGIS: How to add a second polygon that is exactly 5km larger in all directions? Given distance (in meters) what is the angle in geographic reference systems?